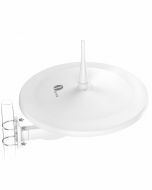 HDTV Antenna with Stand: Comes with antenna-stand for easy installation. Note: Freeview reception is dependent upon environmental factors, we cannot guarantee reception in all conditions. Will this antenna receive signals from all directions? No. You will need to turn it to receive signals from different locations. 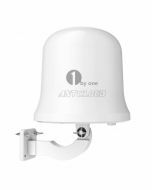 Does anyone in new york city have experience using this antenna? any thoughts would be helpful. I live in Tallahassee, Florida, but I am pleased with this antenna. I'm not from NY City but I am from Cleveland Ohio and it works great, so my guess is if you live in a large city you'll have great success. I think the negative comments come from those who live too far from a digital signal. Will this antenna support using a splitter to multiple TV's? Yes, if your local signal is very strong.